Granite cobblestone pavers add an unequaled old-world charm to any homeowner’s project. From driveways to patios, pool decks, and walkways, these stones are a delight to look at and walk on. 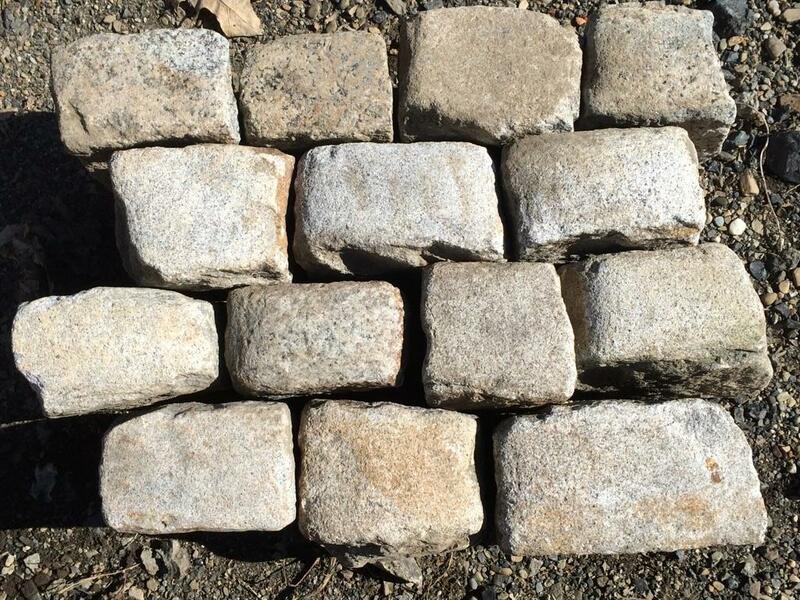 Our antique granite cobblestones range in length from 4 inches to over 12 inches and vary between 5 and 6 inches wide and 5 and 6 inches thick. Some of these granite cobblestone pavers weigh well over 20 pounds each. Have antique granite cobblestones that you would like to sell? 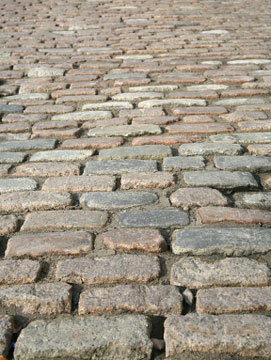 We buy cobblestones in quantities of 2,000 or more. If you are located near the Indianapolis area, there is no minimum on the amount of stones we will purchase. 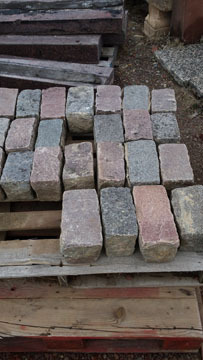 Call us for more information about buying or selling cobblestones from Old World Bricks, or get a quote today.